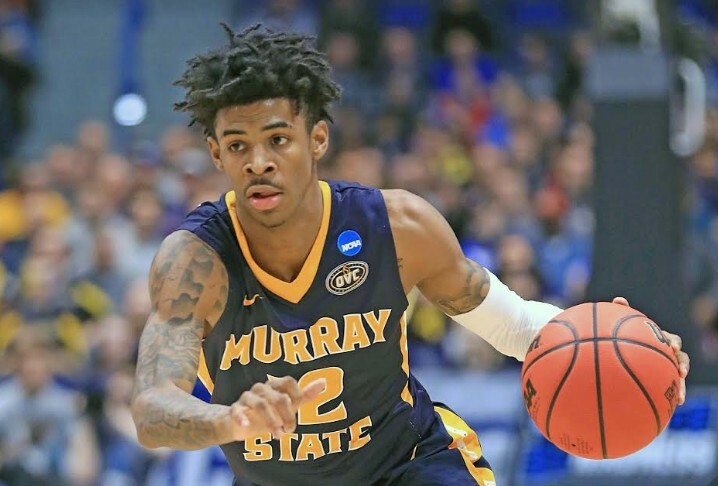 Murray State men’s basketball sensation Ja Morant added another All-America honor Tuesday when the National Association of Basketball Coaches (NABC) named the sophomore to their first team. With the NABC honor, Morant has also been named to the first team by Sports Illustrated, United State’s Basketball Writers Association (USBWA) and Bleacher Report. Additionally, he was second team by Sporting News, NBC Sports, USA Today and Stadium. When the Associated Press All-American Team is made known next week, Morant will become a consensus All-American pick if he gets named to the AP First Team. With an amazing 2018-19 season now finished, Morant went from an All-Ohio Valley Conference performer as a freshman to a nationally known talent as he pushed the Racers to the regular season OVC championship, OVC Tournament championship and NCAA Tournament appearance where MSU won their first round game for the fourth time in school history when they defeated Marquette. Against Marquette, Morant stunned the nation with the ninth triple-double in tournament history and his third this season. His 16 assists tied a first round NCAA record and were the second-most ever in a NCAA Tournament game. Morant became the Murray State career assists leader in only two seasons and he set the MSU single-season assist (331) and scoring records (808). He became the first player since the assist became an official stat in the 1983-84 season to average 20 points per game and 10 assists. He had 15 games this season of 20-plus points and 10-plus assists.